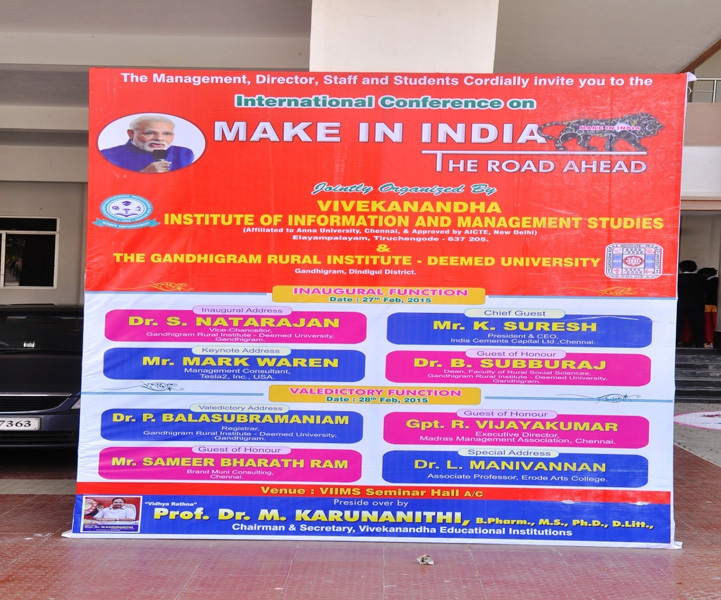 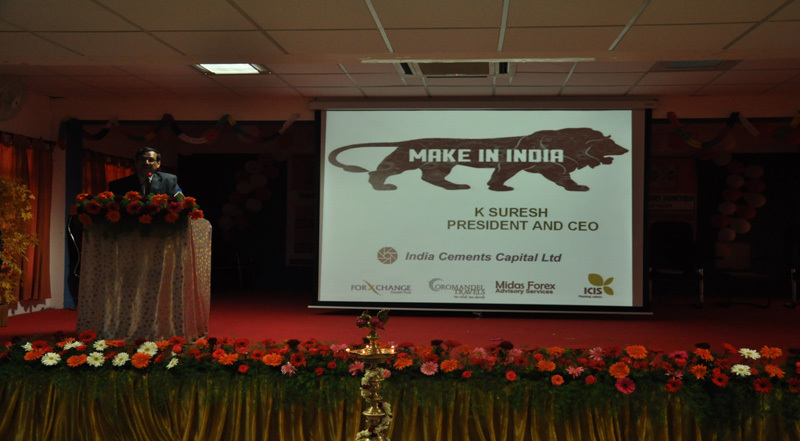 Faculty of Management organized an International Conference on “Make in India- The Road Ahead” in collaboration with Gandhigram Rural University 0n 27th - 28th February 2015. 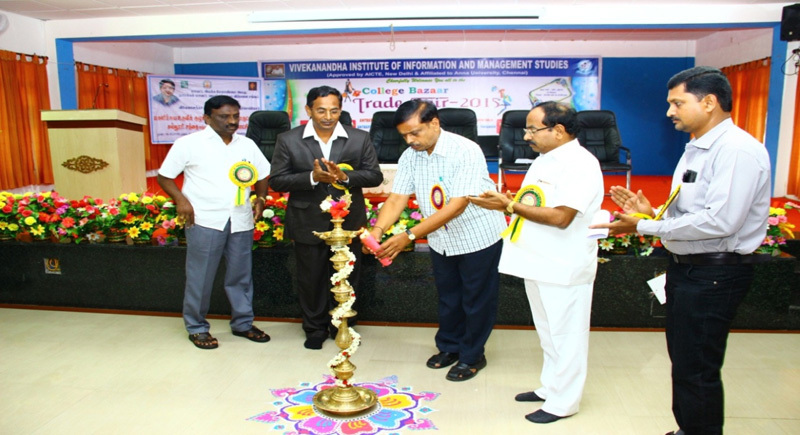 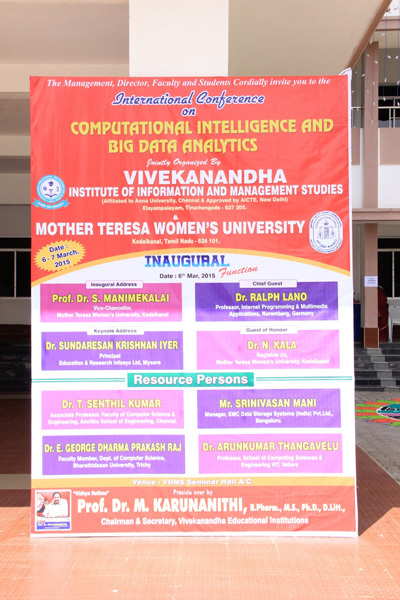 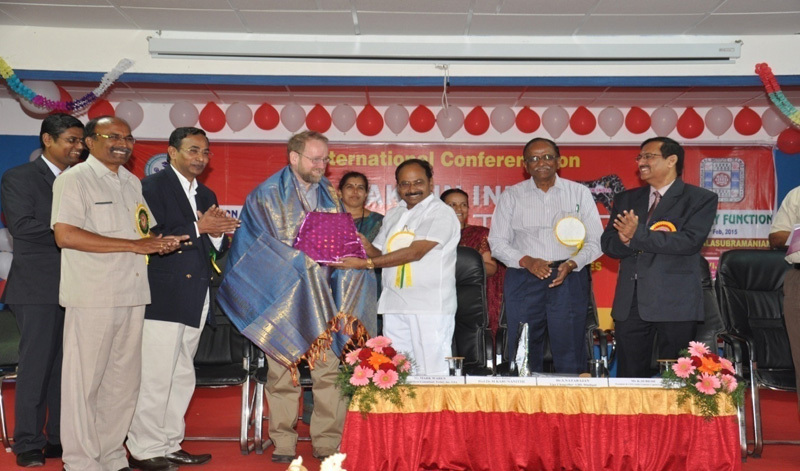 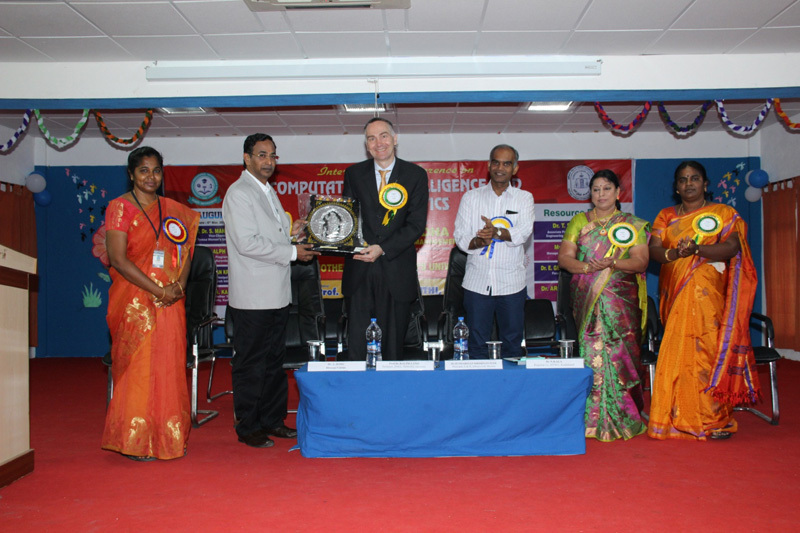 Faculty of Computer Applications organized an International Conference titled “Computational Intelligence and Big Data Analytics on 6th-7th MARCH, 2015 in association with MOTHER TERESA UNIVERSITY, KODAIKANAL, Tamil Nadu. 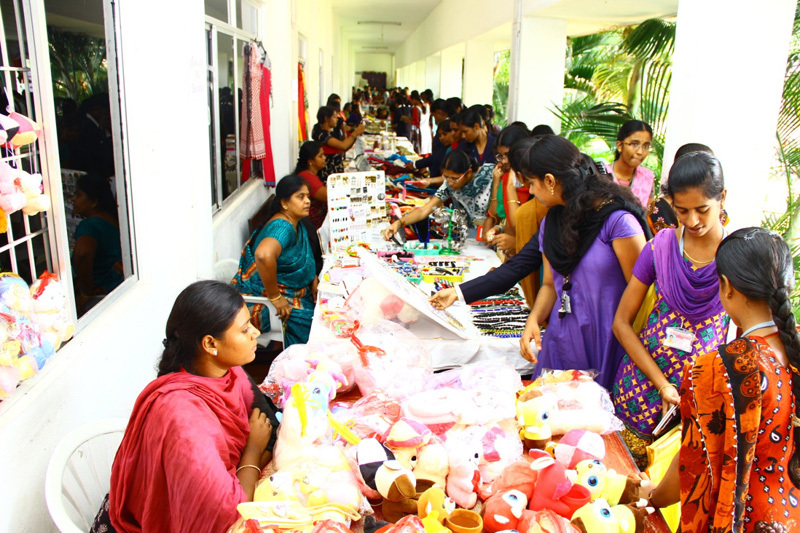 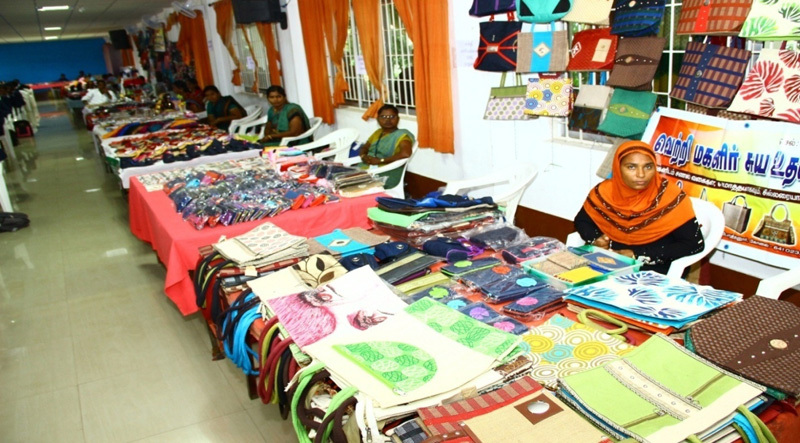 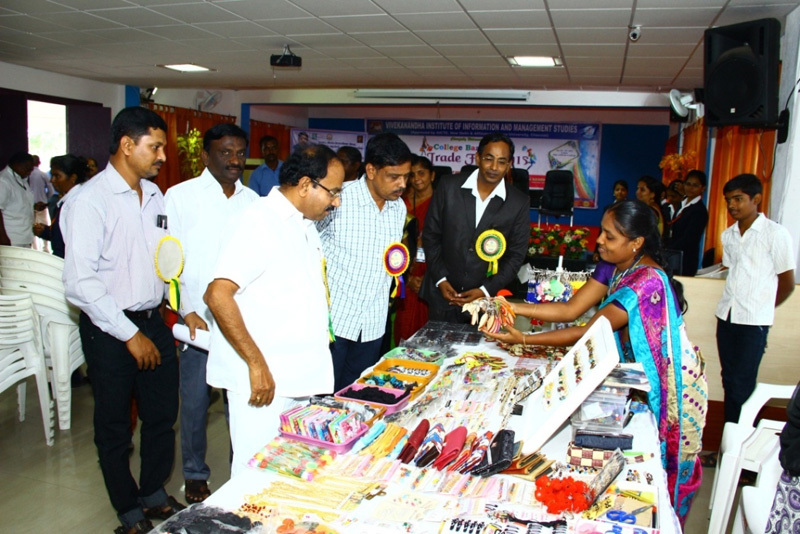 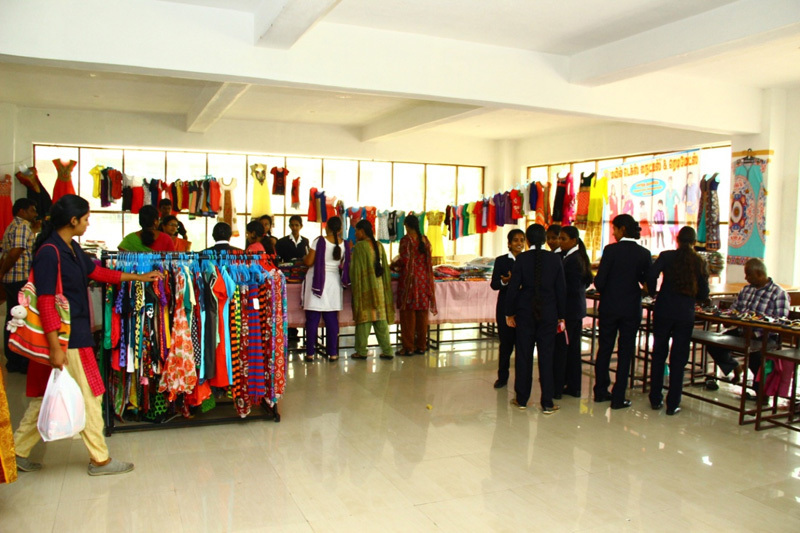 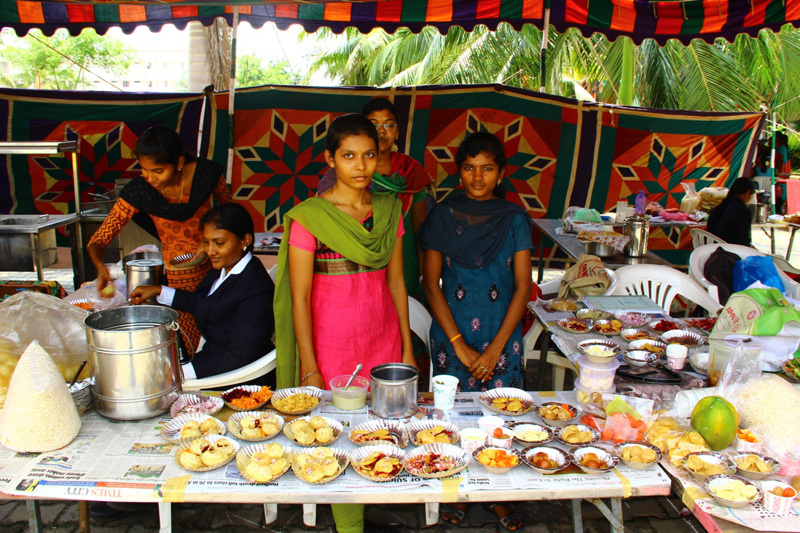 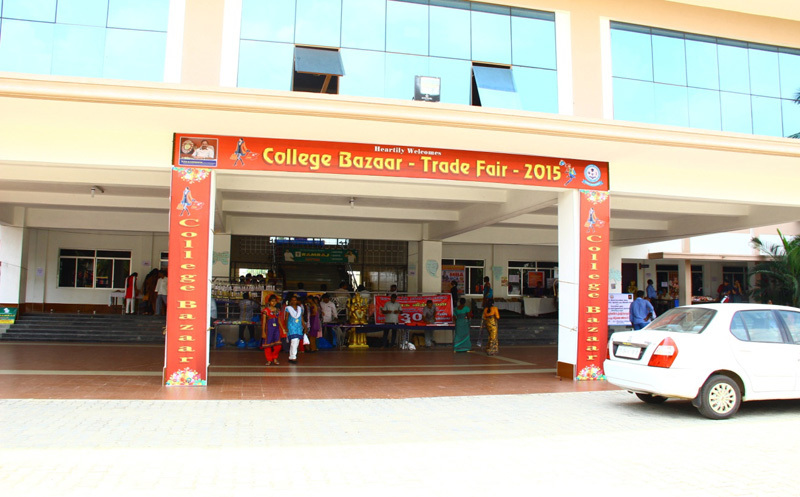 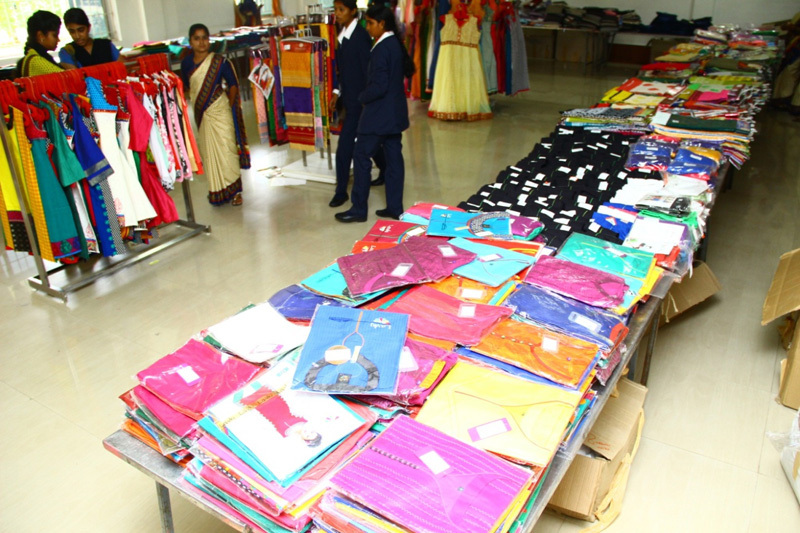 The EDC in associate with the district administration has been organizing Trade Fair every year to enhance the marketing skills of the students and to create entrepreneurship culture among the students. 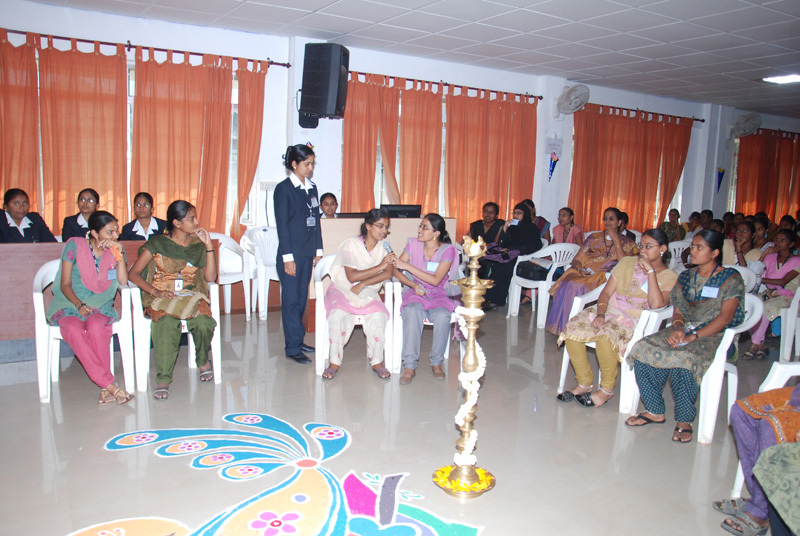 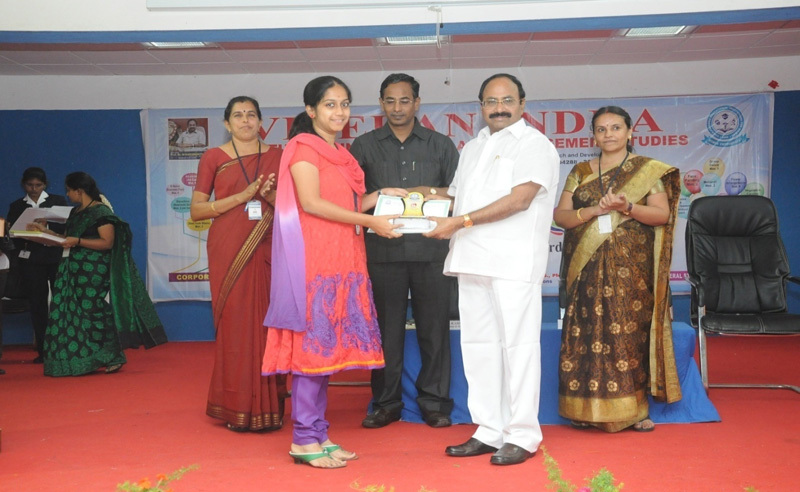 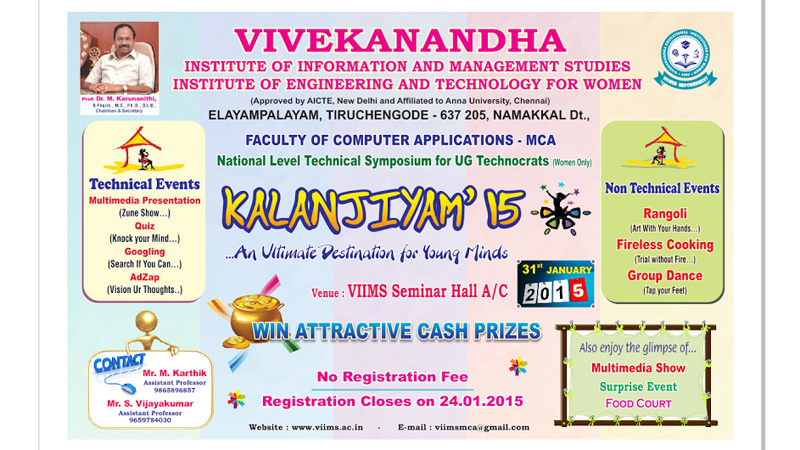 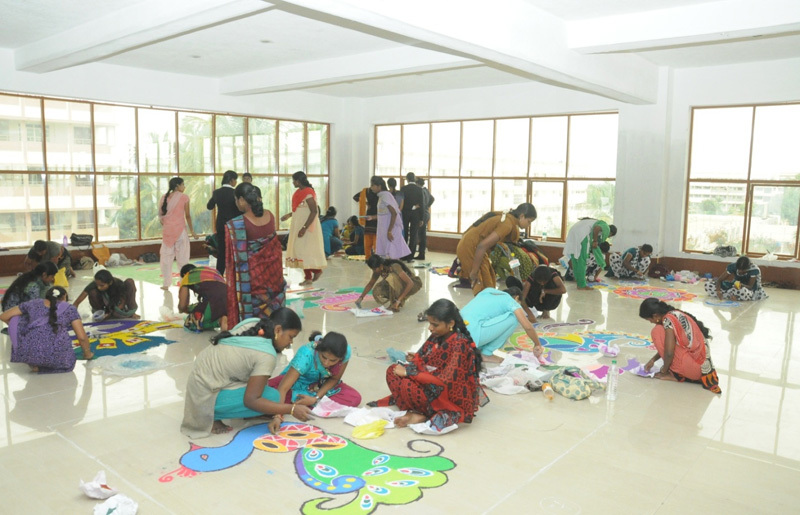 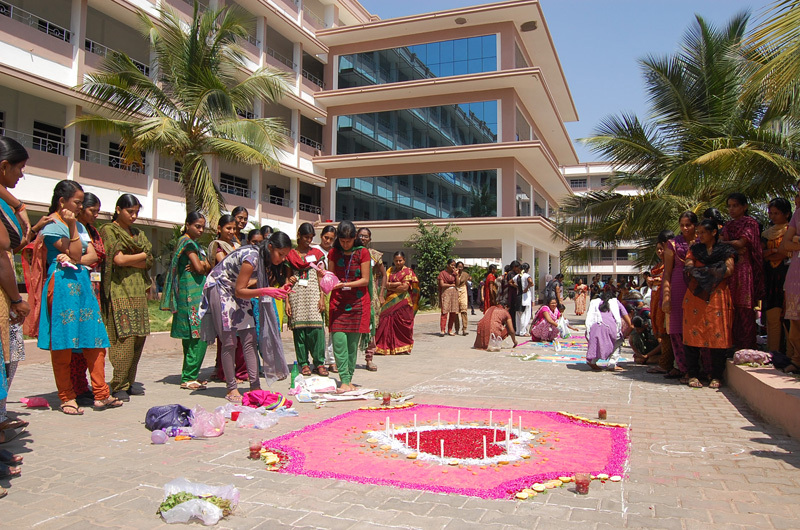 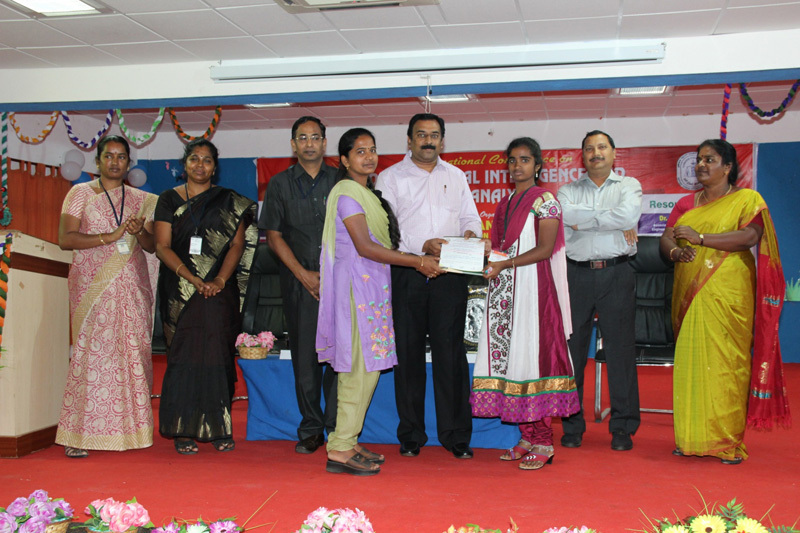 To inculcate ideas and revealing inner talents, Faculty of Computer Applications organized Technical Symposium, KALANJIYAM’15 to UG Computer Science Students belonging to Vivekanandha Educational Institutions on 30th January 2015 and UG Women Students of Arts and Science Colleges from all over the state on 31st January 2015. 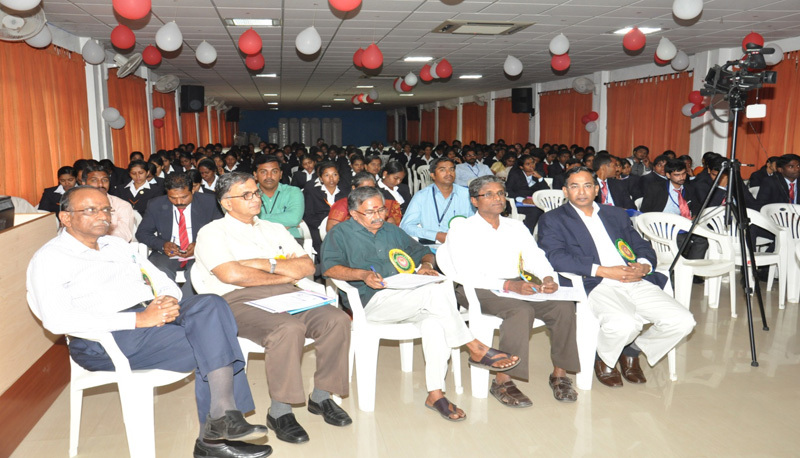 Faculty of Management organized Pegasus – Intercollegiate Management Meet 2015 for all UG & PG final year students on 23rd January 2015.